Luxury Mountain Style Condo in tranquil setting!This 2 level townhouse mountain style condo is a joy to show! 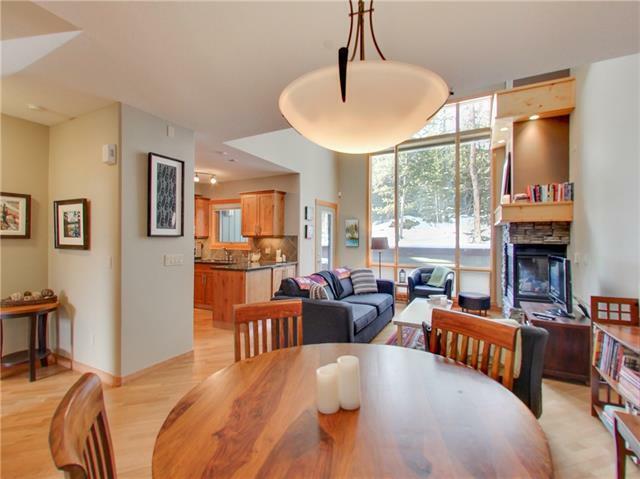 Lots of wood, high vaulted ceilings and big windows plus skylights give this units its very special mountain character. Its bright and airy and has great views. The open concept home is discreet luxurious with beaming wood floors, granite counter tops in kitchen and bathrooms, stainless steel appliances, gas stove, floor heating, gas fireplace and loft. 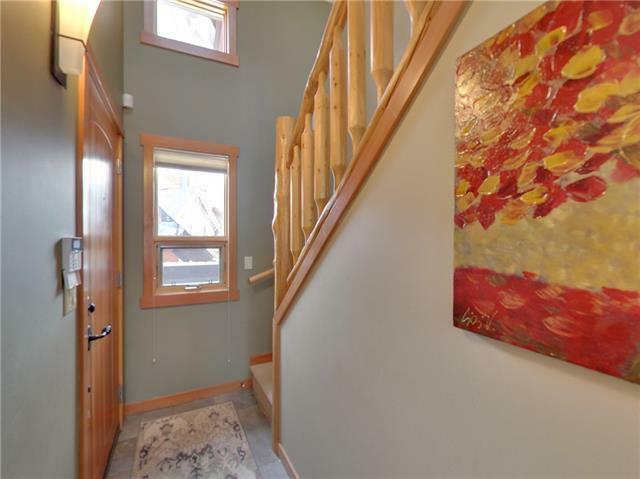 It is beautifully located in Three Sisters right on the Stewart Creek golf course which makes it easy to reach from Calgary yet its only 8 minutes to Canmore downtown. 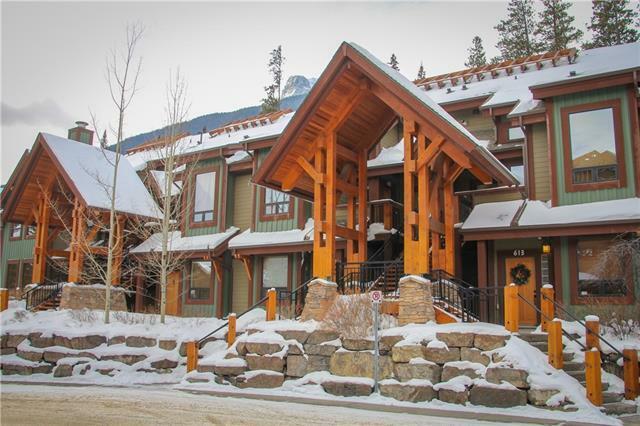 You wont miss anything in this warm and inviting Canmore Condo. Covered deck and covered patio with built-in BBQ let you enjoy forest and mountains in a tranquil setting. 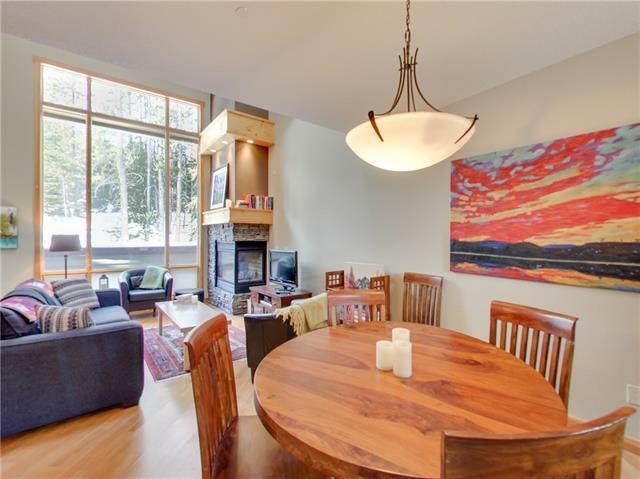 With 2 underground parking stalls and storage this condo is truly enjoyable. The perfect vacation getaway to relax and recharge or a wonderful full-time home for the discerning Executive. Book a showing now!